Find you’re beginning to worry about our spending and rising debt – all the time? Do you know precisely how much you spend, how much you owe and how much it’s costing you? You’re not alone. In Ireland’s overpriced economy lots of people are running out of money each month, and with little idea on how to get back in control, resorting to sky-high soft credit to make ends meet. 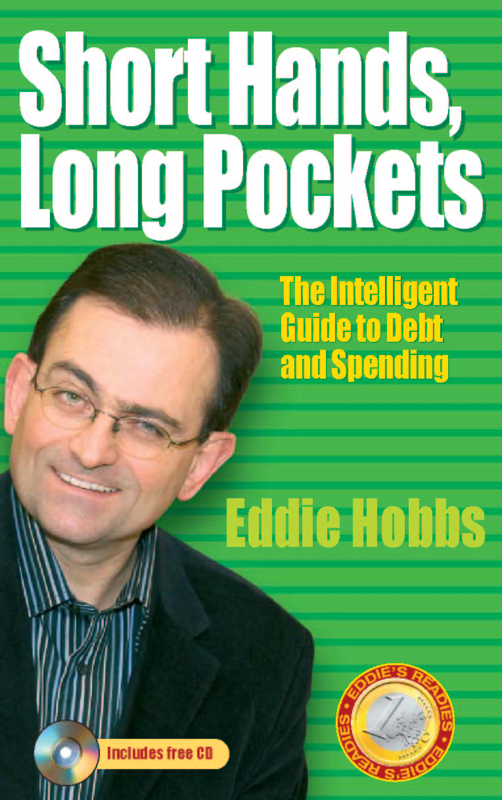 In Short Hands, Long Pockets, Eddie Hobbs, in typical style, gets straight to the heart of the issue. He gives you the techniques and practical advice on how to control your spending, how to climb out of a debt hole, and how to transform your personal finances. Short Hands, Long Pockets comes with free financial software, The Wonga Wizard, designed by Eddie in conjunction with Irish software specialists, 3Q Solutions, to give you a tool for life. Alternatively, you can use Eddie’s pen and paper exercises. Eddie Hobbs is presenter of RTÉ’s award-winning smash hit TV series, Show Me the Money. He is a director and finance spokesperson for the Consumers Association of Ireland and well-kosn consumer advocate. All author royalties from the sale of this book will be donated to The Jack and Jill Children’s Foundation.